Because it’s Friday, I have a very special treat! 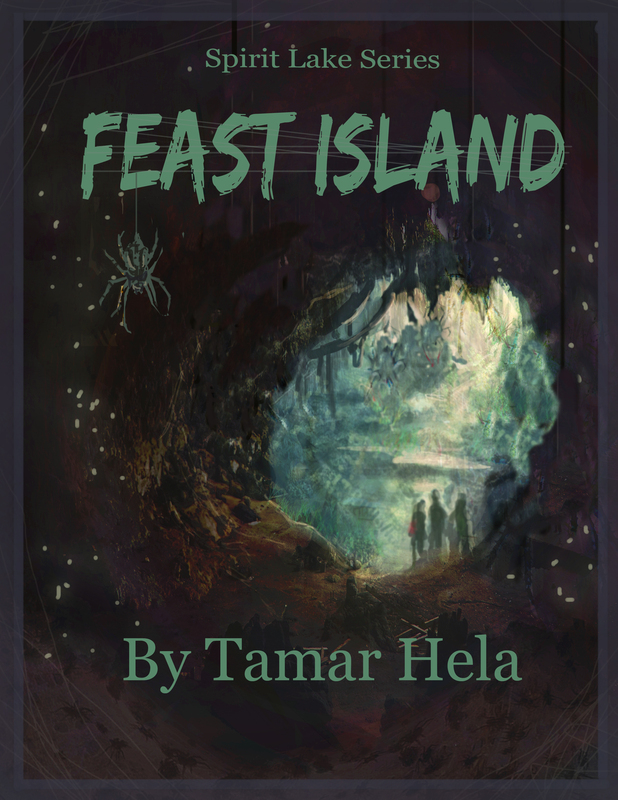 My first novel, Feast Island, will soon be re-released as a second edition. Next week, I’ll be a special guest on the lovely Jordanna East’s blog, explaining in detail why I chose to release a second edition of my book. But for now, I’ll keep this short and sweet, and let the new cover speak for itself. This entry was posted in Events, Writing and tagged arts, author, Cover Reveal, Cover Reveal Event, Debut Novel, Feast Island, Feast Island by Tamar Hela, Feast Island: Second Edition, fiction, Hela, illustration, literature, novel, novels, Spirit Lake Series, Tamar Hela, Where To Buy Spirit Lake, Writer, Writers, writing, YA, YA Fantasy, YA Fiction. Bookmark the permalink.